The 2015 Nissan Xterra exists to remind you that not all SUVs have gone soft. With a firm ride, simple interior and real off-road grit, the Nissan Xterra is a true SUV, ready to tackle the toughest trails. This is a vehicle for people who love adventuring, getting lost and bouncing over boulders and snow berms. This is currently my second Xterra, and I have loved both of them. They both have been very reliable and where affordable compared to other similar vehicles. I was extremely sad to find out they discontinued the Xterra model. It is one of only a few midsize SUVs with 4-wheel drive (not AWD). I also enjoy the fact that it sits up high above other cars. The only real problem I have had is that the heat shield around the exhaust has come off on both models (after making a loud rattling noise for a while). Other than that issue, I have loved my Xterras and would buy a third one if they were still available. 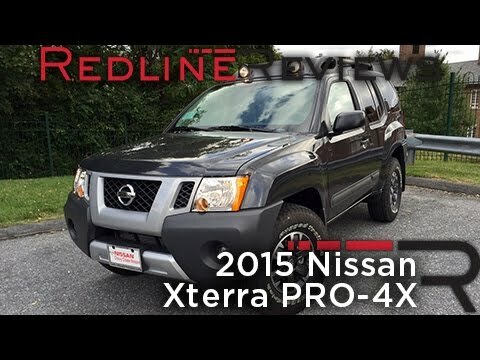 Xterra: The best SUV no longer on the market. I LOVE my Xterra. I sit high enough to fully see the road, the design of the SUV makes me feel safe, the vehicle is very reliable, etc. I purchased the SUV used and haven't had any issues with it in a year. The mpg isn't the best (< 20), but I don't drive far, so it is doable. I really like how much space is available so I can fit everything needed for camping, scuba, or any other adventure. This vehicle is part of the family! I love the Nissan Xterra so much, as a vehicle. I much prefer it over a car because of how spacious it is, as well as how rugged. This suv can take a lot! This is a vehicle that you don't have to worry and stress over breaking down, because it'll be with you for the long haul! It becomes a part of your life and personality.